The East River Alliance is the world’s biggest clan. Its chief, Mei Changsu, arrived at the royal capital Jinling under the alias of Su Zhe. He brought with him storms of disturbances and fogs of mysteries. Oh god this is probably one of my all-time favorites. We've got an actual strategist MC.... more>> And by intelligent, I do mean he is intelligent. Not the genre that's smart only because others a re d um, but because he outsmarts others. The overall plot is rather straightforward imo, however the MC uses really great strategies to accomplish his goal. The plot does not bend over just to support him; in fact he is the one controlling the flow of everything. The strong point is in the foreshadowing; all along the author keep leaving information that you think are trivial, however they are actually hints on what actually happened and are crucial to the story. Everything is well wrapped up, and you can tell that the author put a lot of thoughts into it, rather than have a never ending filler like so many CN have. The series gave me the feels so many times; I can't remember the last time I felt so strongly about any series or fandom and trust me when I say I have seen my fair share of series. The end was also a rather satisfying end. I won't spoil anything but you have my guarantee that it is a n end that suits the atmosphere and personality of the MC so well. I think what got to me was the character interactions. You get so attached to all of them. Even the minor characters. They shine so much, and are all characters with their little quirks and their own character development. They are also important to the plot because sometimes the smallest of character can make or break an event. My only issue is that the MC is probably a bit of a Gary Stu, but I don't think anyone really cares that he is at this point haha. Read the first 13 chapters, got so into it that I jump straight for the drama. So far, it's really good. The previous summary for this had some spoilers but it's nothing major as it's revealed pretty early. A story about a man whose family got betrayed and killed, but he survived and after assuming a new identity, he comes back for sweet revenge. The characters are unique (Fei Liu is so cute) and the story is comprehensive despite being rather straightforward. 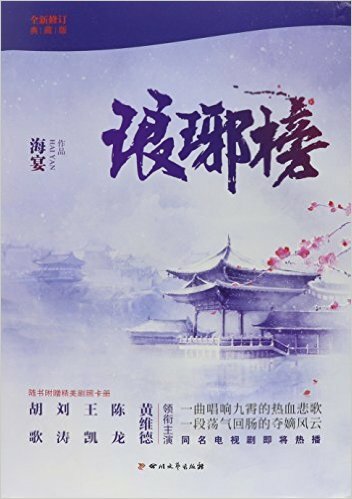 If the machinations and schemes of the novel are... more>> the same as the drama then I must give it a thumbs up! Truly a masterpiece tragic drama about brotherhood, justice and revenge. Unfortunately I gave up on it because, at least for me, its depressing and hurtful to read as I place myself in the MC place. Nirvana In Fire aka Lang Ya Bang is one of the best or not the best historical, strategist sort of novel I have read/watched. (I watched and read both the drama and novel.) Watched the drama last year and just had the time to start reading novel a few days ago and finished reading this masterpiece. It tells the story of our MC Mei Changsu aka Su Zhe. This novel is one of revenge and justice, a revenge that our MC seeks so that justice is sought for his people. But... more>> apart from revenge and justice, it is also one of doing whats right. For the other parts like character interaction etc, do read Keimichi's review, his review is really good and expresses what I want to say.